Welcome to GroupM Lighthouse, our future talents! Haven’t you always wanted to know what happens behind closed doors in the world of media? This is where we step into the picture and present GroupM Lighthouse, an event that will take you deep into the secrets and give you unique insight on what we do as a media agency. 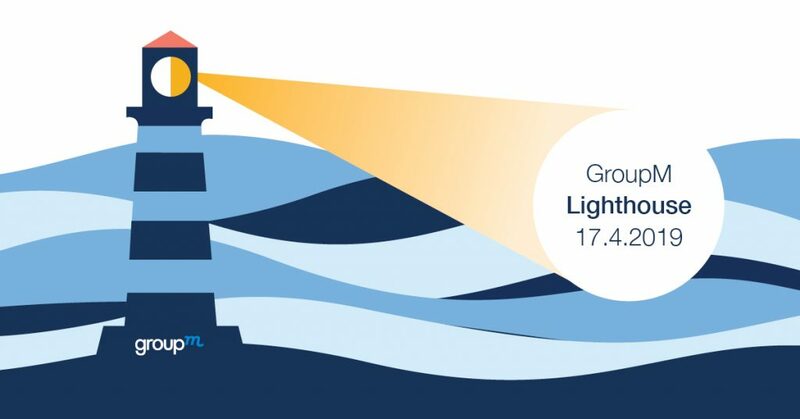 We would like to welcome you to our GroupM Lighthouse event on Wednesday, the 17th of April. When: 17th of April at 15.00–18.00. Where: Pohjoinen Makasiinikatu 3-5, 00130 Helsinki. Please ring the buzzer “GroupM”, 5th floor. What: A truly unique opportunity to get inside of the world’s largest media agency, hence getting to know who we are and what we do. Our Helsinki office is growing at a fast pace, and we are constantly looking for new talents to join our innovative team! We will also tell about our open internship positions, and you have a possibility to mingle and ask more from our employees about what it is like to work in GroupM. Join us for this afternoon with open mindset and positive attitude. Do not be afraid to challenge our employees with questions – ambition and curiosity lead to great success! Registration: to sign up, please send an e-mail by the 16th of April to: fi.events@groupm.com. Your email address will not be used to any other purposes than you signing up for the event. We have a limited number of seats for GroupM Lighthouse, so please tell us in the email why you would be our next superstar, and why we should definitely meet you! We will inform you about the seats latest on Tuesday, the 16th.